The Sacramento Bee enjoys Oktoberfest in the Carson Valley. Here’s a man I’d like you to meet: Tom Sanders. 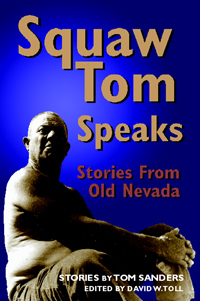 Squaw Tom he was called, because he married Indian women, and he wore the name with pride. His affinity with the Indian people lasted all his life, and from them he learned the story-teller’s art. 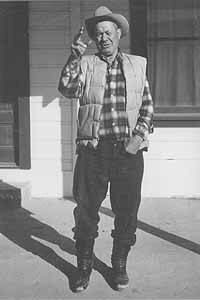 He was on his own at nine, a cowboy at 14 and a working stiff all his life: he was a miner, a logger, a welder; he bucked hay, laid track and built roads. And he told the stories that this life gave him to tell, stories as earnest and unassuming as home cooking, and as satisfying. They are folk art depicting aspects of the Nevada adventure almost never written about, in a voice almost never heard. They built a camp with a corral where a little stream of water come into Mono Lake there. Mono Lake had 23 minerals in there, heavy minerals. We lived in Army tents, with a out-house. And they built a cook house out of tents; no floor, just a frame and planks sittin’ on sawhorses for tables. When the Lyon County engineer ordered a historic church demolished in Dayton, Tom was so incensed that he challenged any Lyon County official to a fight to the death. “My birthday is May the fourth; I’ll be 75 years old. And I’ll challenge them all to fight me, one by one, down there where the old church was. 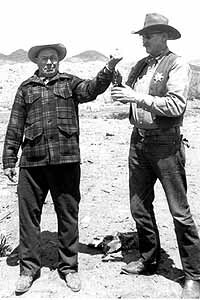 We’ll get an Inian Police to handcuff us together by our left wrists I don’t want to have to chase you fellers all over the desert to catch up with you. And I’ll beat them buggers right down to the graveyard with one hand.“We’ll charge a dollar admission to see Squaw Tom beat some respect into those monkeys, and we’ll use the money to build the church up again. And what’s left over we’ll give to the Orphan’s Home in Carson City.”Tom was there at the appointed time. Constable Rocky Adamson was there to provide the handcuffs, keep order and see to fair play, but the Lyon County bureaucrats hid under their desks and wouldn’t come out. Well, they was a bunch a these teamsters up on the bank, and they laughed and laughed and laughed. Why, it was a circus. Even the cook was outside watchin’ and laughin’ while them two guys swam to shore. And that Gibbs, he got so made seein’ the men laughin’ at him that he fired us all. Oh man, he got insulted. Well, he was an Englishman, see. And nobody could laugh at him, see. Well, we was fired. And we rolled up our beds and we camped on the hillside above the old camp. We’d been laughing so hard we didn’t have much strength left in us, so we bought food and camped there for two or three days. Washed our clothes and rested up. And at night we’d build a big fire and all we could talk about was the horse debris falling down on that boss. Tom is buried in the reservation cemetery at Stillwater, finally at rest. low water at Lake Tahoe. The parking lot is open for carry-in boat access only. All other boaters should use the Cave Rock boat ramp facility . . . There’s an outdoor Farmers Market at the Springs Preserve in Las Vegas every Thursday in October from 4 – 8 pm: sustainably grown regional produce, local artisans and artists with handmade arts and crafts and live music. 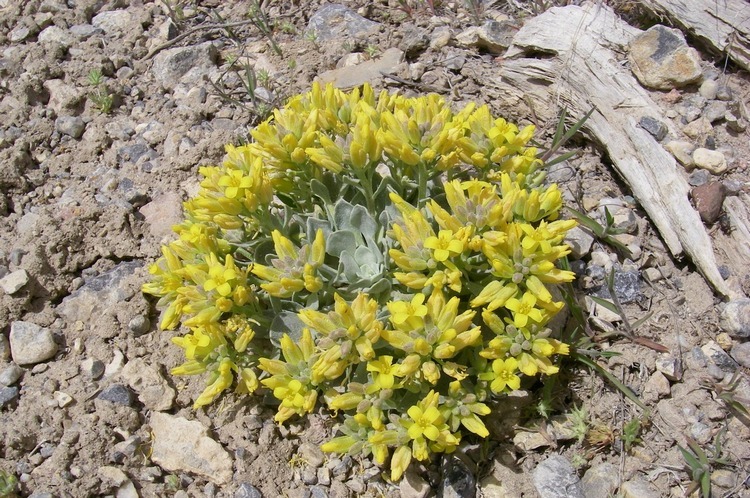 The Springs Preserve is at 333 S. Valley View Blvd between US 95 and Alta Drive . . . And you can bid on Las Vegas shows, dining, shopping trips, psychic readings, wedding ceremonies and more at a new eBay store . . .
There’s a glow around Joe Robinson’s house in Hawthorne these days — his son Rocky set a new world’s record motorcycle speed record on the Bonneville Salt Flats last month, and Joe can’t get the grin off his face. How often do you get a chance to play Faro? Seldom, I’m guessing, as no-one deals faro in Nevada any more. But if you’re willing to go online to buck the tiger you can play faro (for fun) here . . . McAvoy Layne is now posting audio commentaries to his website. Check it out and hear The Master’s views on today’s issues . . . Las Vegas hosted nearly 24,000 meetings, conventions and trade shows in 2007, attracting more than 6.2 million delegates . . . Somebody with a lot of time on his hands has created a terrific website devoted to “time machines” — not the H.G. Wells variety he is quick to point out, but places that evoke an earlier era. 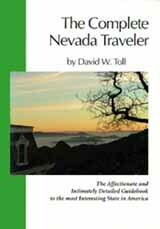 Here are his pages devoted to Las Vegas and southern Nevada and Reno and northern Nevada . . . the Nevada Commission on Tourism has created a new website to provide skiers with information on road conditions, ski conditions, hotel packages and ski resort information on their mobile phones. The technologically disadvantaged can get the info on a regular website . . .
Elko‘s National Cowboy Poetry Gathering is bringing two of its favorite performers to Reno on Tuesday October 28 for a performance at the Pioneer Center for the Performing Arts. The show will feature the mind-bending poetry of Polish hobo rodeo poet Paul Zarzyski and the vocal modulations and swingin’ cowboy tunes of yodeler Wylie Gustafson and his good-time cowboy band Wylie & The Wild West . . . The Carson City Ghost Walk, 2006 edition. A Whole Lot of Halloween: In Reno there are two nights of Halloween doings, October 30 and 31, 5-8 pm, along the river downtown, $3 per kid . . . 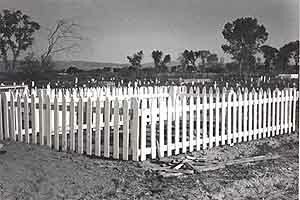 In Las Vegas, the Old Las Vegas Mormon Fort State Historic Park is hosting its annual family friendly “Nevadaween” celebration on Saturday, October 25, 9 am – 2 pm: pumpkin decorating, door prize raffles, Nevada’s birthday cake, Daughters of the Utah Pioneers soup cook-off, homemade root beer, archaeology muck digs, pioneer activities and games. Costumes are welcome. It’s at the southeast corner of Las Vegas Boulevard and Washington Avenue. For more information: 702-486-3511 . . . Virginia City goes in for Halloween in a big way: The 4th annual Goblin Parade, begins at 5 pm Friday October 31 on South C St., with awards for Best Costume, Scariest Costume, and Most Original Costume, in adult and child categories (entrance to the parade is free). There will be Safe Trick Or Treating on C Street beginning at dusk, with many stores, saloons and restaurants handing out candy for little goblins. From 6 to 8 pm the Fourth Ward School offers its traditional “Haunted Hallways” tour ($5 for adults; $3 for kids ages 6-16). The Silver Terrace Cemeteries on the north end of town will be open for the brave-hearted to wander through from 6 to 10 pm ($4 for adults; $2 for kids). Bring a flashlight. The Virginia & Truckee Railroad will have its annual “Haunted Train,” at 6, 7 and 8 pm ($10 adults; $4 kids). Who knows what may pop out at you in the tunnel! At the new Comstock Gold Mill across from the train depot is the “Haunted Mill on the Hill” with frightful tours for 10 hardy people at a time ($4 adults; $2 for kids; $10 families of four) from 6 to 10 pm. More? Absolutely: The Ramada Inn and Piper’s Opera House are combining for an adults-only party that includes the 7 pm Haunted Train Ride, and an 8 pm dance and costume contest at Piper’s Opera House. Call the Ramada for room and event package price . . .
Out of the wild: calming captured horses. 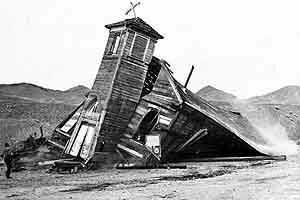 In Tonopah a scary Haunted House is being created at the Mining Park, located directly uphill behind the Mizpah Hotel off Main Street. It’s free and open to children of all ages starting at dusk. The evening includes a haunted house complete with Frankenstein’s workshop held in the Mizpah Mine and a spooky walk through the “Burro Tunnel,” which is definitely not for the faint of heart: at the end of the tunnel, visitors can step into a steel viewing cage and look down the 500′ deep mining stope. Candy, snacks and drinks will be provided . . . And in Dayton you can attend Frightnight at the Dayton Valley Country Club October 30 and 31, 7:30 pm with the Friday performance a dinner show to benefit the Wild Horse Preservation League ($30). Information: 775-315-2165 . . . In Beatty the annual Beatty Days celebration begins on Nevada Day and includes Halloween events but also features wild west activities, car and motorcycle shows and a chili cook-off, as well as chicken poo bingo and the ever popular Pickle Liquor Hoot-n-Holler. You don’t want to miss this one. Did I mention the Rootbeer Drinking & Belching Contest? Or the Bed Races. You have to admit it, these people know how to have fun . . .